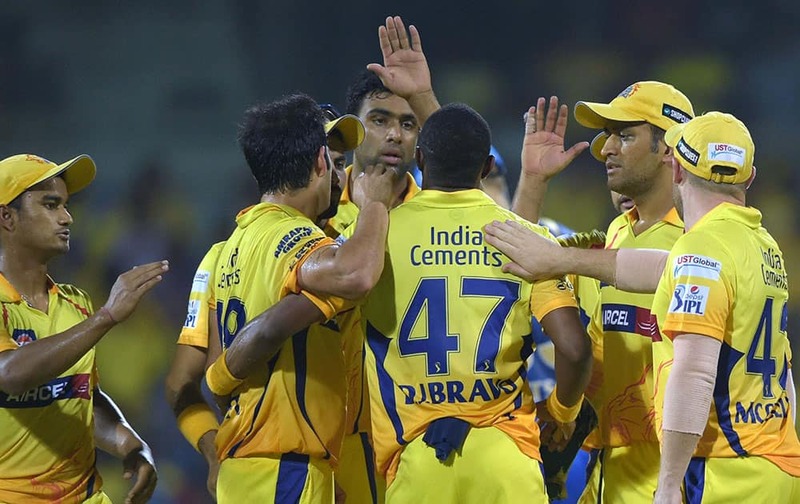 Chennai Super Kings’ players celebrates after dismissing a Rajasthan Royal Shane Watson during their IPL-2015 at MAC Stadium in Chennai. 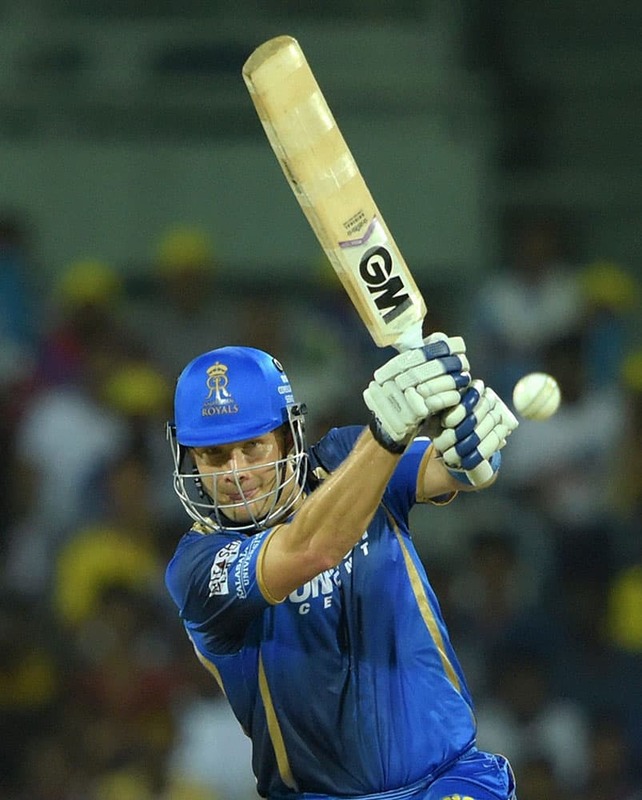 Rajasthan Royal’ Shane Watson plays a shot during the IPL-2015 match against Chennai Super Kings at MAC Stadium in Chennai. 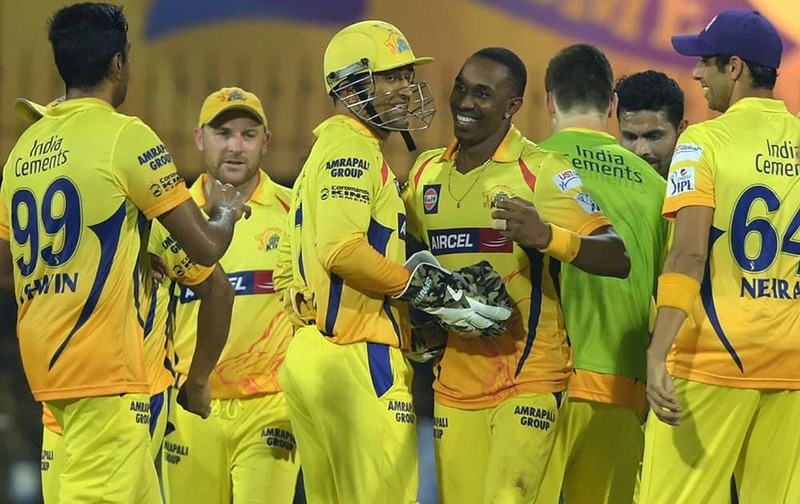 Chennai Super Kings’ Mohit Sharma celebrates with teammates after dismissing Rajasthan Royals Ajinkya Rahane during their IPL-2015 at MAC Stadium in Chennai. 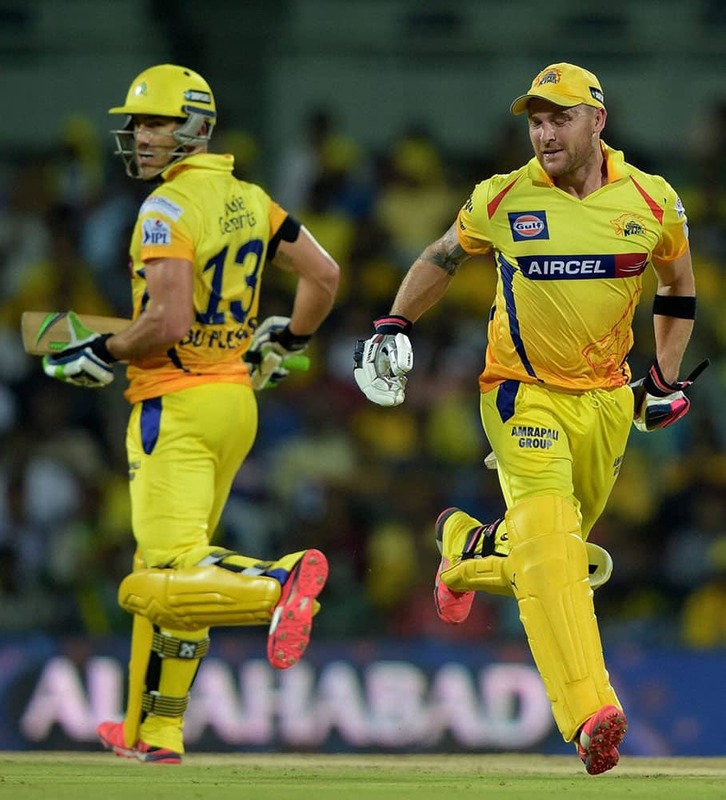 Chennai Super Kings’ Brendon McCullum and Faf du Plessis during the IPL-2015 match against Rajasthan Royal at MAC Stadium in Chennai. 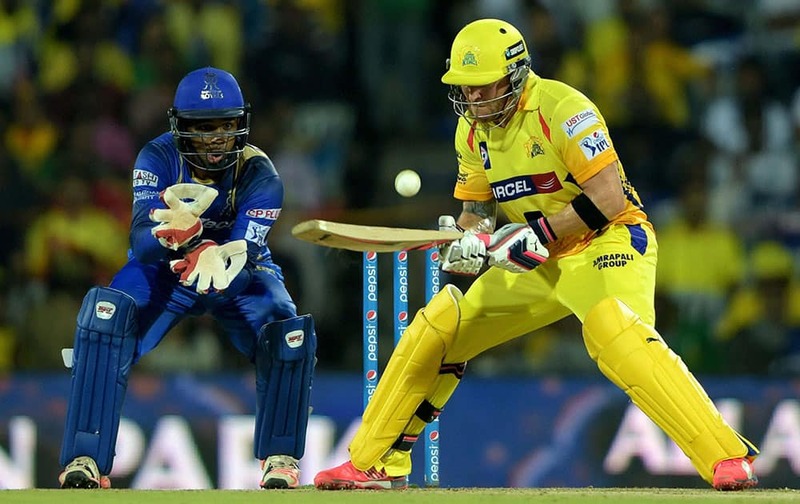 Chennai Super Kings’ Brendon McCullum plays a shot during the IPL-2015 match against Rajasthan Royal at MAC Stadium in Chennai. 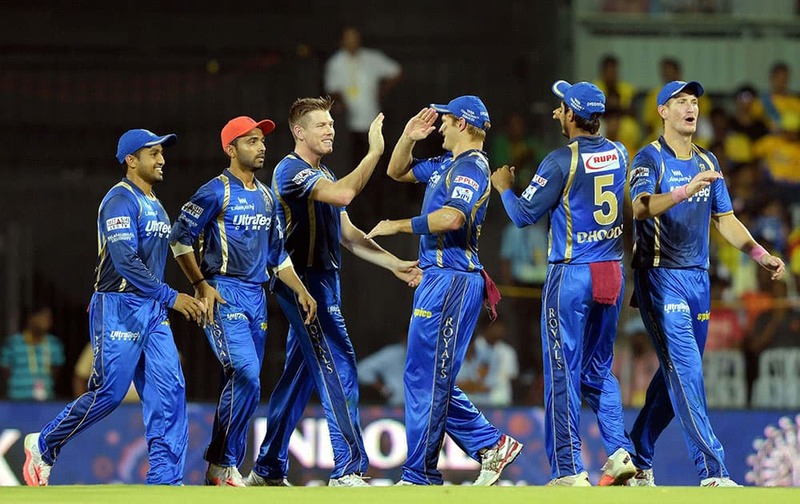 Rajasthan Royals players celebrate after dismissing Chennai Super Kings’ DR Smith during their IPL match at MAC Stadium in Chennai.